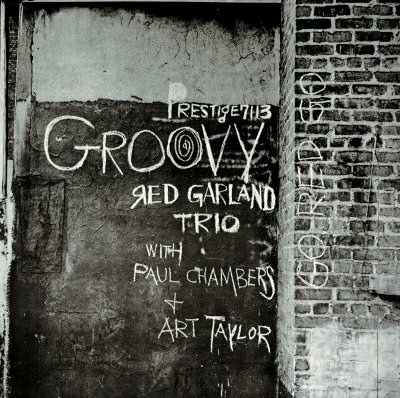 Enter stage left, the Miles Davis Quintet rhythm section, Red Garland and Paul Chambers but the choice of drummer is the more swinging Art Taylor in preference to Philly Joe, whose trademark “kick” was perhaps thought better suited to the larger brass-led ensemble. Or may be he was busy that day. Red’s swinging musicality is the absolute embodiment of piano accompaniment, so much so, he was destined to be the principal casualty of Miles transformation to his modal, more cool and minimalist style, for which the piano was thought too busy, too much information. Red wasn’t the one to pursue Herbie Hancock’s percussive, staccato piano solution. His hands wanted to move. And move they do. 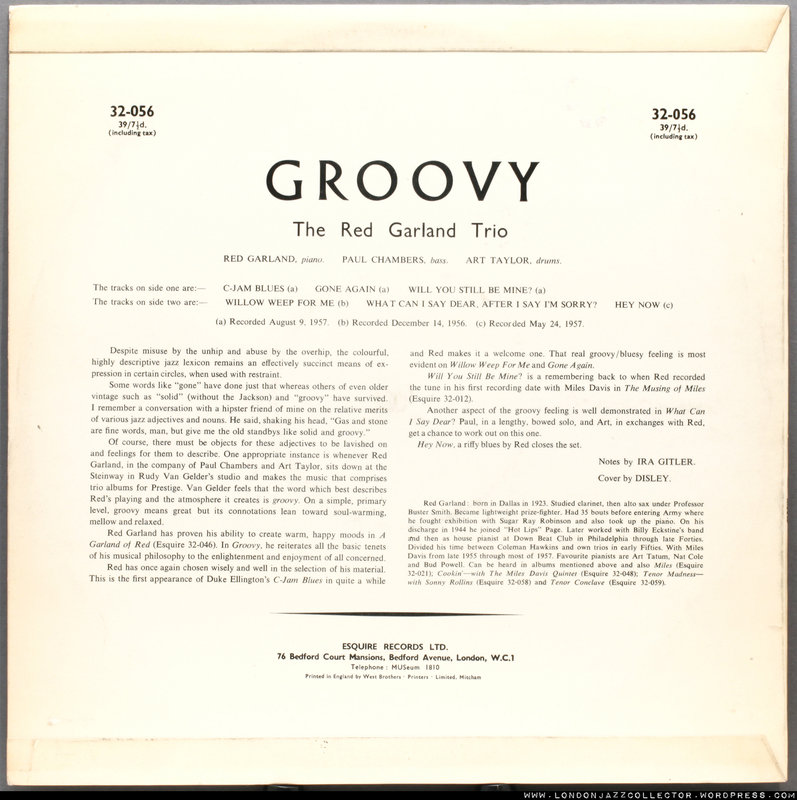 If Miles was later to drop Garland, here, Garland drops Miles, and shows that piano can lead as well as accompany, though the emphasis remains focussed on swinging rather than Powell’s jaw-dropping virtuosity or Monk’s fiendish compositions . Red’s rendition of the very simple yet very complex Ellingtonian “C Jam Blues” illustrates perfectly the art of playing just what is needed, nothing more and nothing less. It is so subtle an art it is easily overlooked, especially in the presence of attention grabbing lead lines from the brass. With Groovy, you can learn to listen again to the rhythm section. The Prestige cover: what a contrast! Prestige “urban” vs Esquire’s “urbane”: gritty graffiti vs lounge-bar. 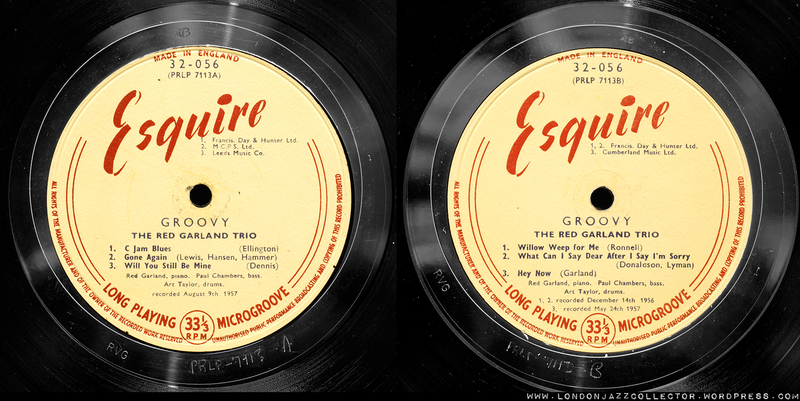 The rebellious reversed “R” in “Red” gives it a visual lift, as the second O in GROOVY takes on the image of the vinyl disc. Neat, but to round off the faux-underclass schtick they ought to have mis-spelt Prestige, and annoy Bob Weinstock. Occasionally, I like to lift the bonnet and take a closer look at the competition in an eBay auction I have won – or lost. 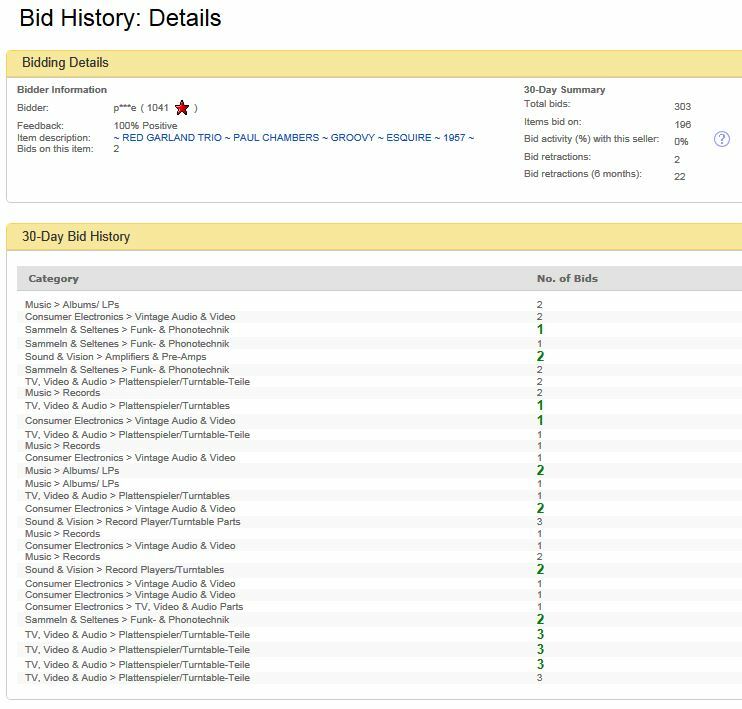 It’s always interesting to know who you are up against in pursuit of vintage vinyl, where they are coming from, their bidding style, what else is in their field of view. 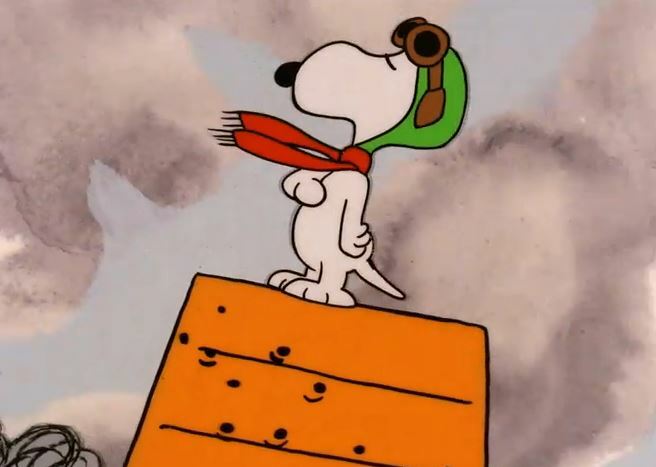 In the last 30 days month they placed 303 bids on 196 items, many of them vintage hi-fi components, I assume – on German Ebay..
Red Baron, for you the war is over: I won. But I salute an honourable opponent. Good taste. 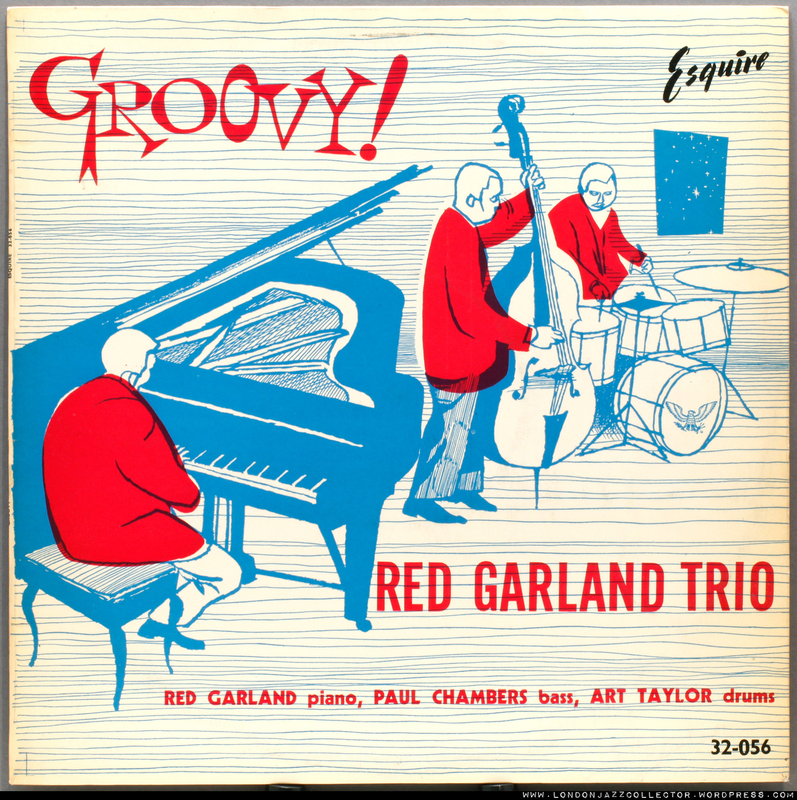 This entry was posted in Esquire, Red Garland and tagged Art Taylor, Esquire, Paul Chambers, Red Garland by LondonJazzCollector. Bookmark the permalink. LJC, forgive me for going on about the “pitch” issue – but this one’s really too slow. If your Numark is still set at minus 3 percent (which we found out to be the correct speed), then something else must be wrong with it. Strange thing, because from my own experience I consider Numark quite a useful tool. I have been using a strobe, which suggests more like 5% slowness rather than 3%.though I didn’t check this particular disc, which is very heavy. The Numark has a mind of its own, and it has to go before I lose mine. Weight shouldn’t matter at all, except for the first fractions of a second. Again, what surprises me is that your Numark seems to differ so much in character from mine. Never mind – there are some pretty good turntables available if you want to get rid of it. Over the next couple of weeks rips will still be “Numarked” but I am going to experiment with getting signal out of The Big Beast, via the pre-amp’s tape out to a laptop running Audacity . Seems a more cost-effective solution than a better USB TT. No matter which way – I’ll be looking forward to any of your rips to come. I do, in fact, own most of the music you have been featuring, in varying format. But listening to rips of early pressings can revive interest in recordings that really deserve being appreciated. What do you use to ensure your record player is running at exactly 33 1/3rd? Perhaps LJC should get one of whatever you use! What do you use to ensure your record player is exactly at 33 1/3rd? Perhaps LJC should get one, whatever it is! I use a stroboscope disc occasionally, just to check if the speed is still OK, and in fact it has always been. LJC has been using one, but I understand that his Numark is less stable speedwise than mine, so he probably would have to check the speed on each occasion. That’s all I can say. I had a copy of this Esquire, but it was “pitted”, small pits evrywhere, which sounded with a hard click. My only experience of an Esquire being of inferior quality than the US original. LJC claims that A.T. is more swinging than Philly Joe. I don’t agree, but think that A.T. is a better qualified piano trio player, less obtrusive than Philly Joe. A.T. made his marks during the trio recordings for Norgran with Bud Powell.